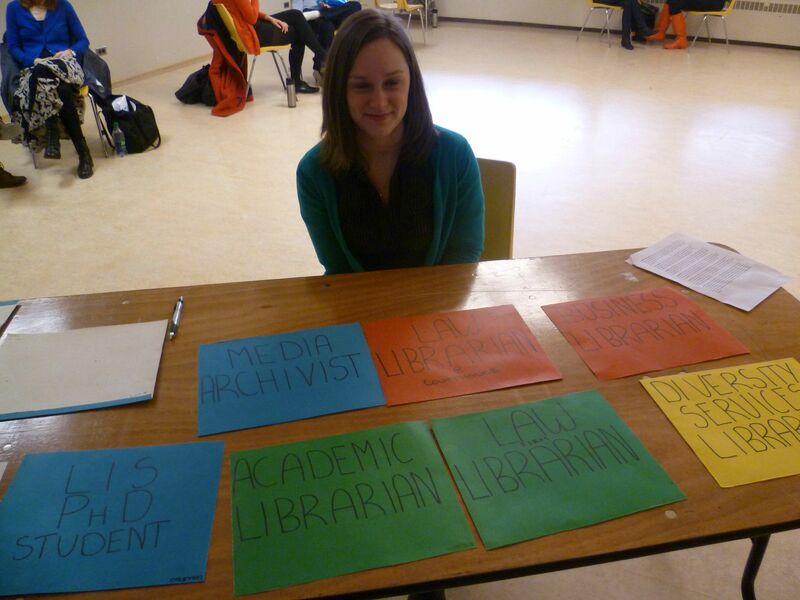 Recently our super rad events planners Sheena Gardner and Heather Gloster organized a librarians library for students! This was an event where a whole bunch of librarians from different sectors came to UBC and could be “checked out” by interested students. Just like the increasingly popular human libraries! We took photos of some (but not all) of the librarians who generously gave their time to help us learn more about possible career paths. 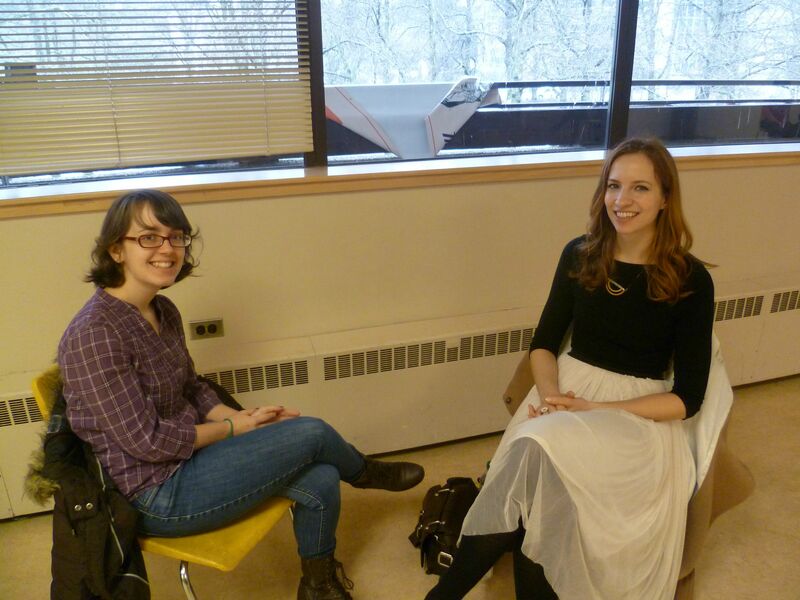 Alyssa Green, VPL InfoAction (left) talking to Kelsey Ockert (right). Franklin Sayre, Librarian at Woodward library chatting with Steph (we don’t know your last name! Sorry!) (right). Kate Clayborne (left) and Rebecca Slaven, Courthouse Libraries (right). 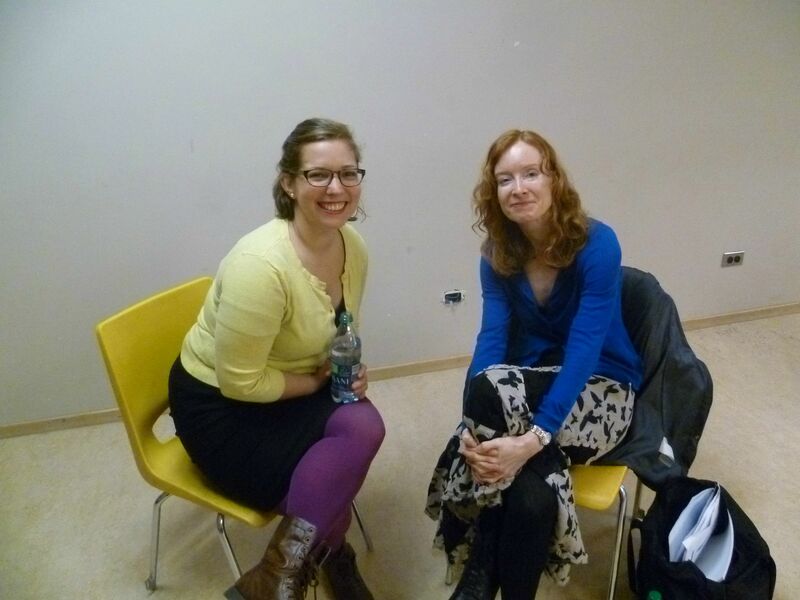 Cristen Polley (left) and Melanie Delva, Archivist (right). Rachel Yaroshuk, Teen Librarian at Burnaby Public Library (left) and Daisy Hui (right). 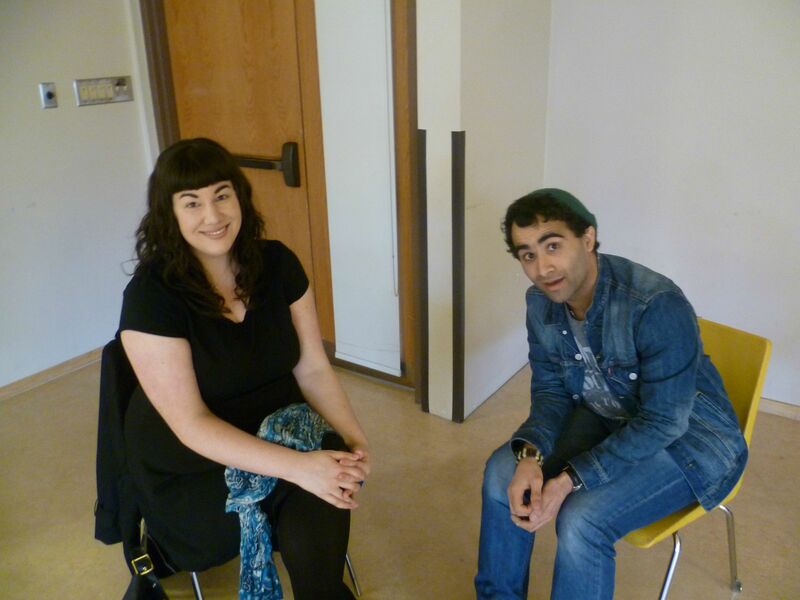 Alison Dodd, Client Services Librarian at Environment Canada (left) and David Gill (right). 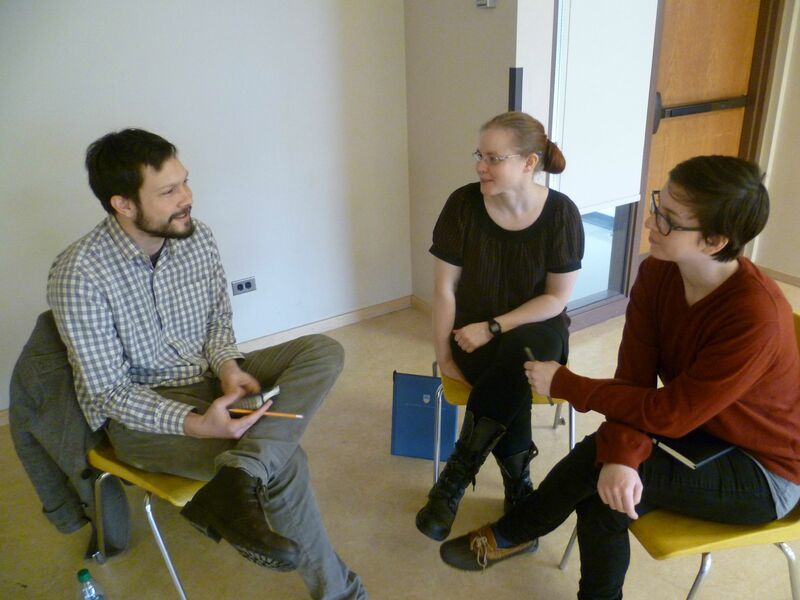 Schuyler Lindberg, Interaction Designer at UBC (left) talking with Meghan Whyte (centre) and Amanda Warner (right). 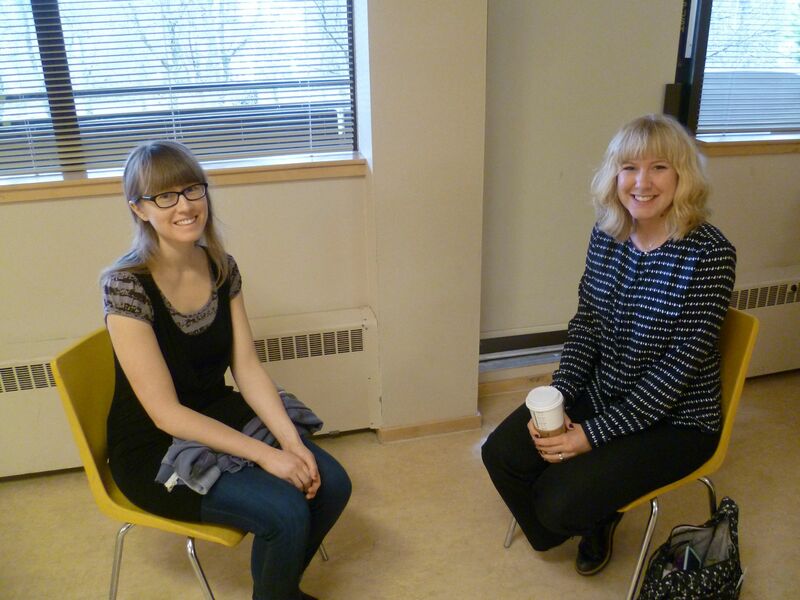 One of our fabulous event co-ordinators Sheena Gardner (left) and Colleen Addison, PhD Student at iSchool @ UBC (right). Our other fabulous event co-ordinator Heather Gloster showing some of the librarians that were available to check out.